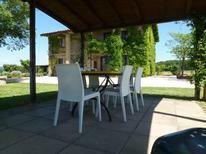 Luxurious country estate for up to 20 people in Umbria. Everyone can come along here! 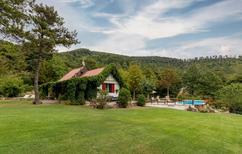 Italy | Circles of friends, large families, teams, and other groups of travellers can experience exciting and relaxing holidays in these XXL houses for 20 people and more. 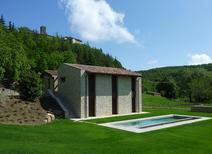 A holiday house in Umbria costs on average USD 656 in the cheap travel period and USD 1,485 in the peak season per week. These details are of course in relation to the house and not per person as well as includes the obligatory additional charges. 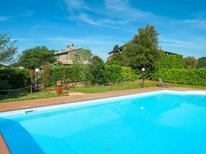 Perugia, the region's capital, is a convenient place to rent a holiday home. 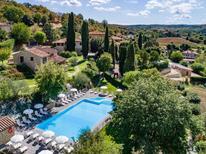 It's rich historic past is evidenced by the abundance of Roman and Etruscan monuments. The medieval hill towns will astound you. 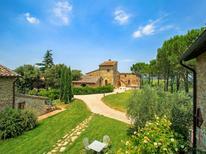 For example Orvieto, which sits atop a volcano offers splendid views of the rolling hills. A highlight of your visit here is the 14th-century Gothic cathedral Orvieto with its awesome frescoes, Etruscan tunnels and grottos. Todi, perched on a hilltop just above the River Tiber, is a sight to behold, with its cobbled streets and medieval monuments. Not to be missed is the town of Assisi for its splendid Basilica di San Francesco. Families with children will love Mount Subasio Regional Park. Explore trails, enjoy nature and spot roaming wildlife.The Apennines, a mountain range, stretching from Liguria to Umbria, offers some of the best places for hiking in Italy. 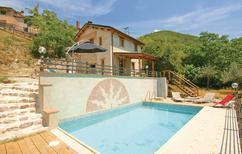 Explore small villages, savour local hospitality or retreat into nature for a relaxed holiday. It's therefore possible to combine a nature tour of the Umbrian Apennines with a visit to cities in Central Italy. Florence, for example, is the birthplace of Renaissance art, producing the likes of Leonardo da Vinci and Michelangelo. Admire Sienna's Pizza del Campo or explore Ravenna's rich Byzantine past. 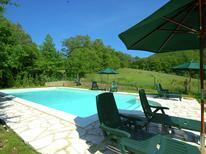 Spring and autumn are ideal seasons to rent a holiday home in Umbria. August is the hottest month so it's advised you head to the lakes or the beach like the locals. Many of the towns will be deserted as most Italians go on holiday at this time. In autumn, business hours (restaurants and shops) may be shorter, but the weather is still good and there are fewer travellers in the region. For holidaymakers who have to consider their children's school holidays, it's advised you book your holiday apartment well in advance if coming from July to September.